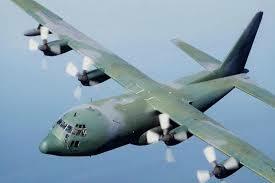 Sixty years ago Saturday, the first C-130 “Hercules” took off in Burbank, California. Since 1954, Lockheed Martin has created more than 2500 of the planes, and more than half of those are still in operation. The “Hercules” is a durable yet versatile plane that kept U.S. airmen safe in Vietnam, and continues to serve us through humanitarian relief missions. It’s truly an impressive machine. We’re proud in Texas’ 19th District to be home to the 317th Airlift Group, which is the largest C-130J (a sister model to the “Hercules”, dubbed "Super Hercules") unit in the world. You can check out Americans’ personal memories with the C-130 Hercules here. There are some inspiring stories from our veterans and civilians about this incredible aircraft.